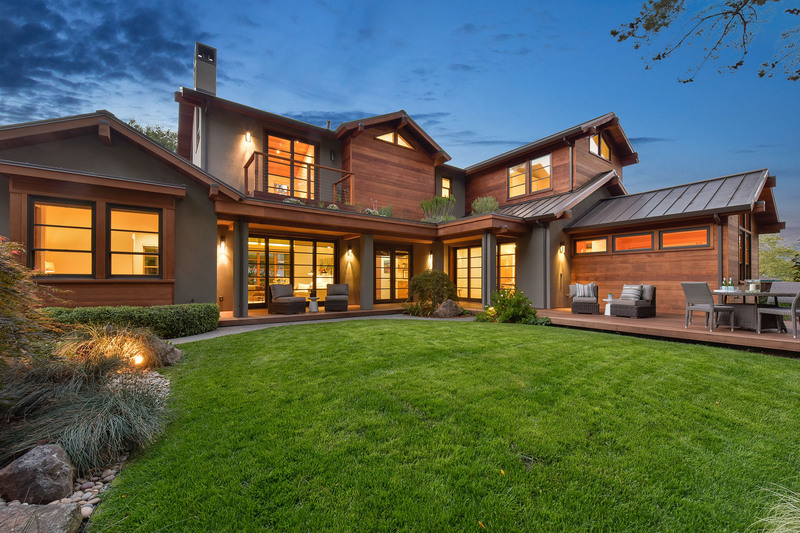 This house takes your breath away. 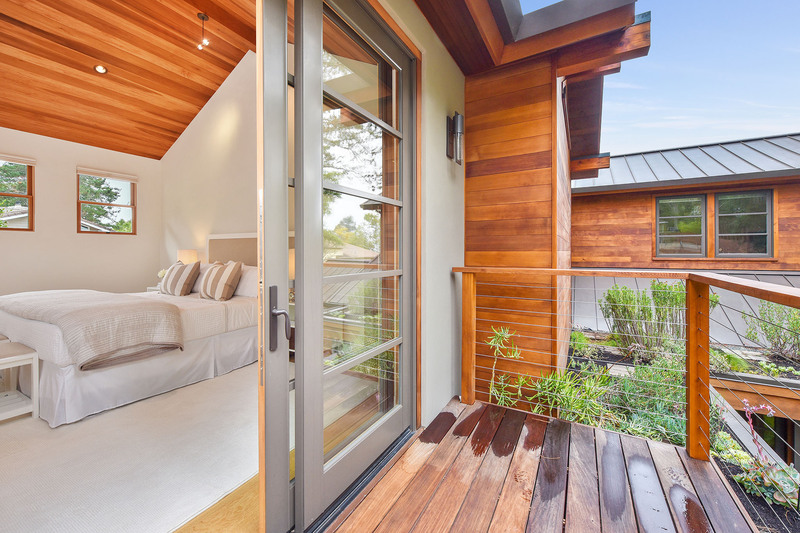 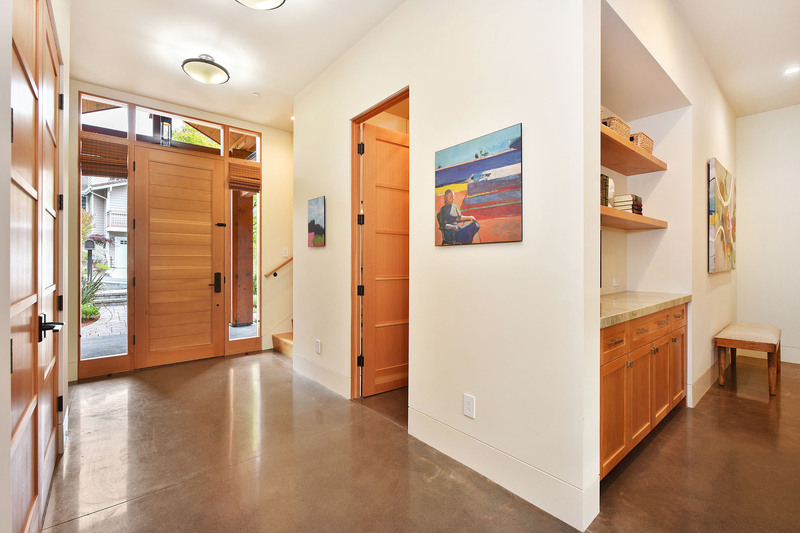 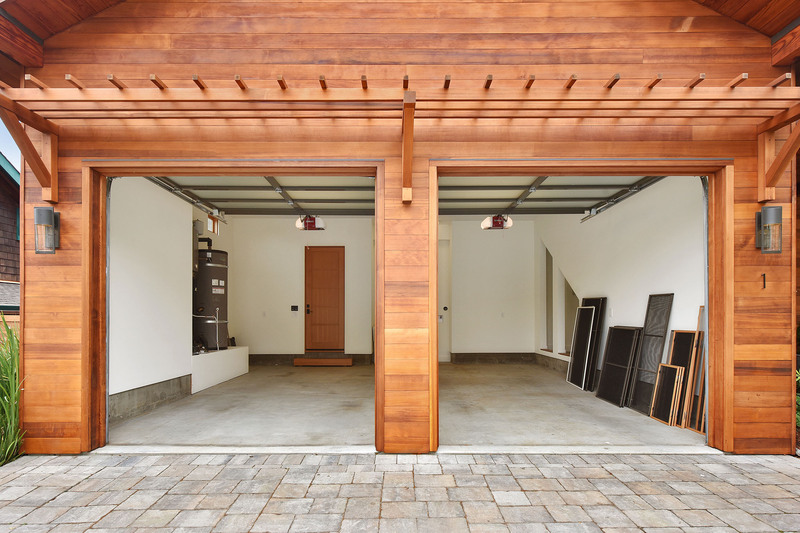 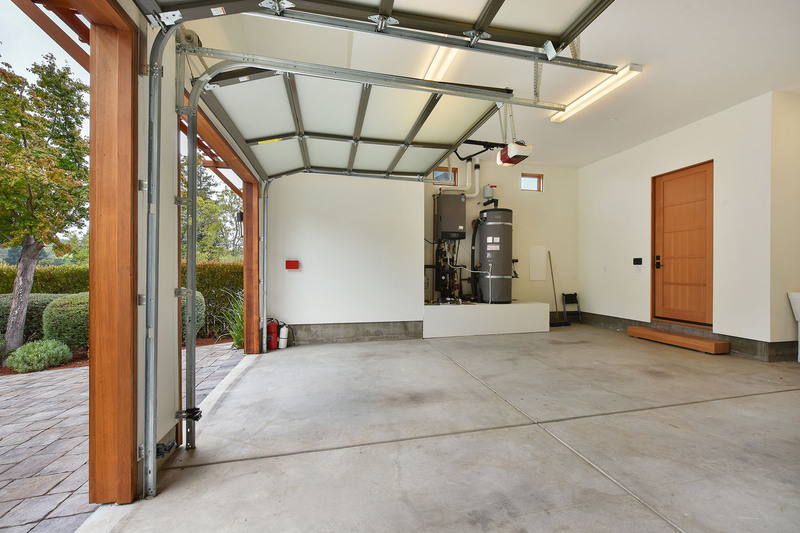 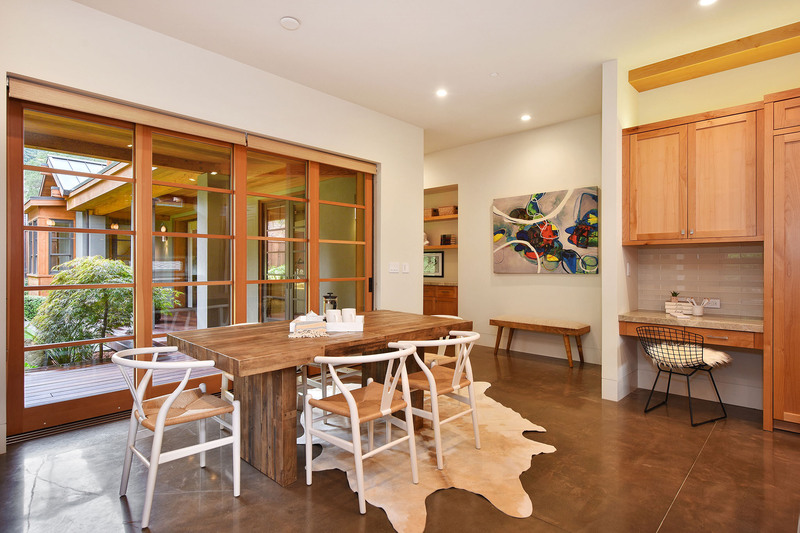 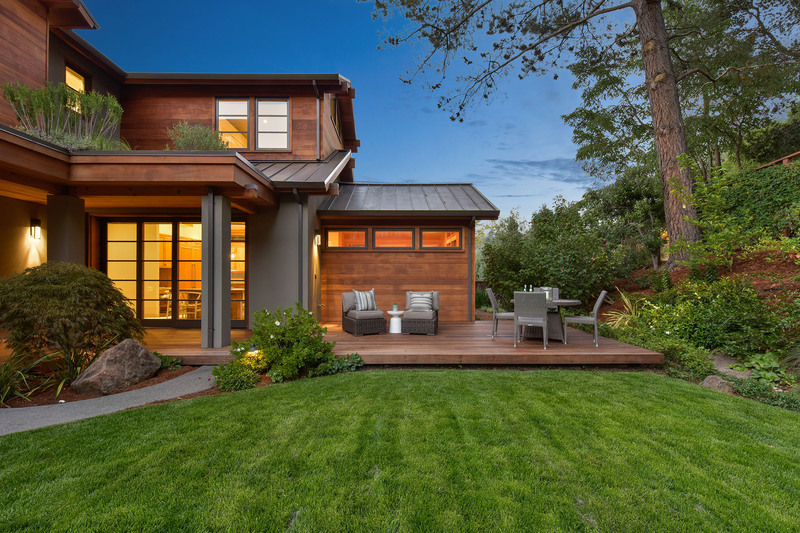 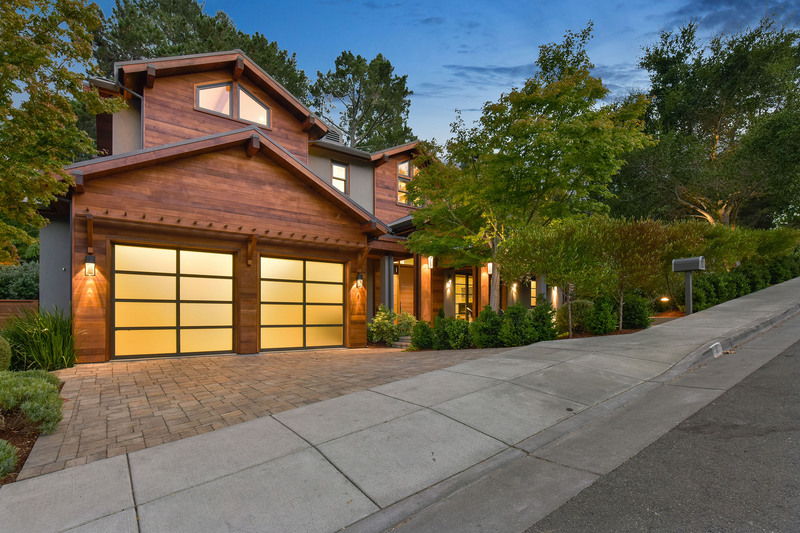 Brand new in 2013, this gorgeous modern home with Craftsman and Japanese influences is the perfect blend of comfort, sleek design and an ideal location. 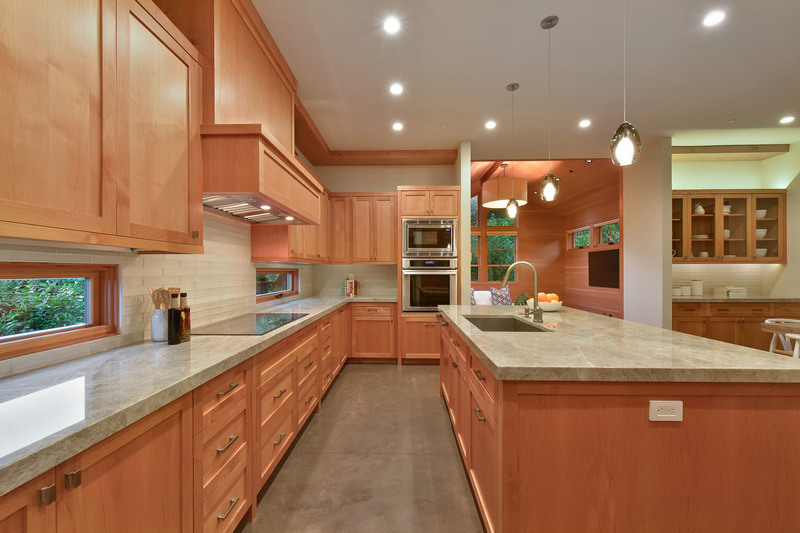 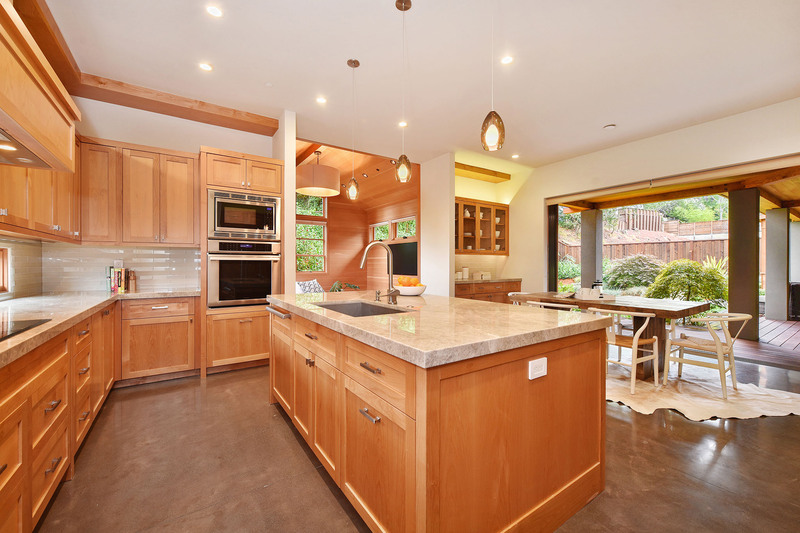 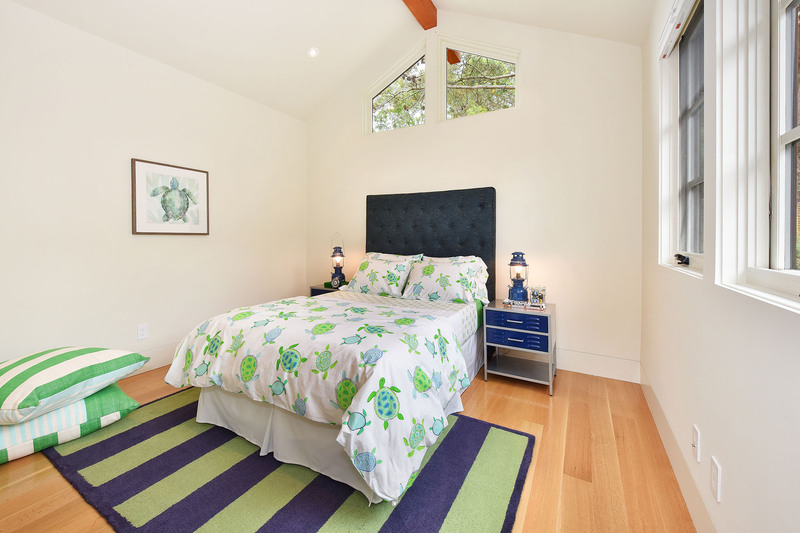 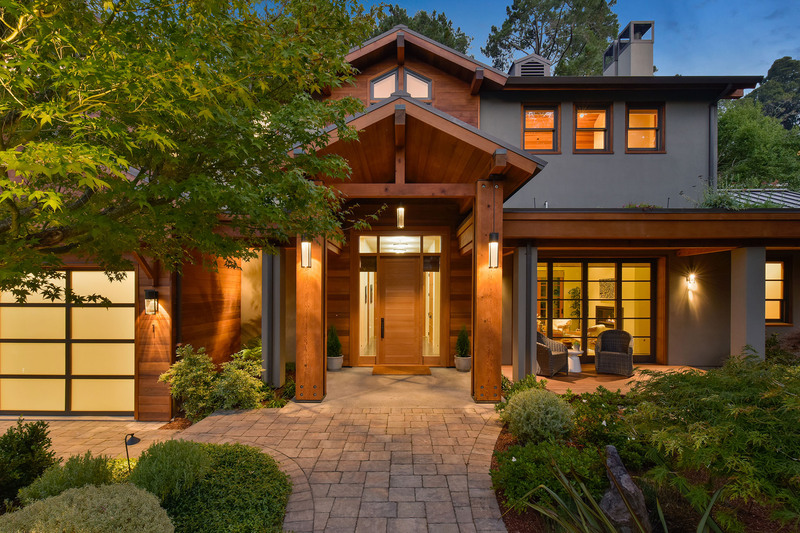 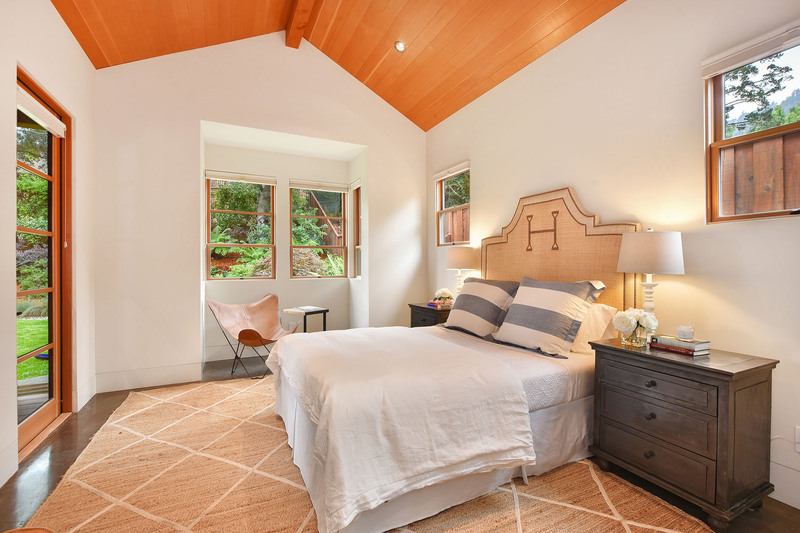 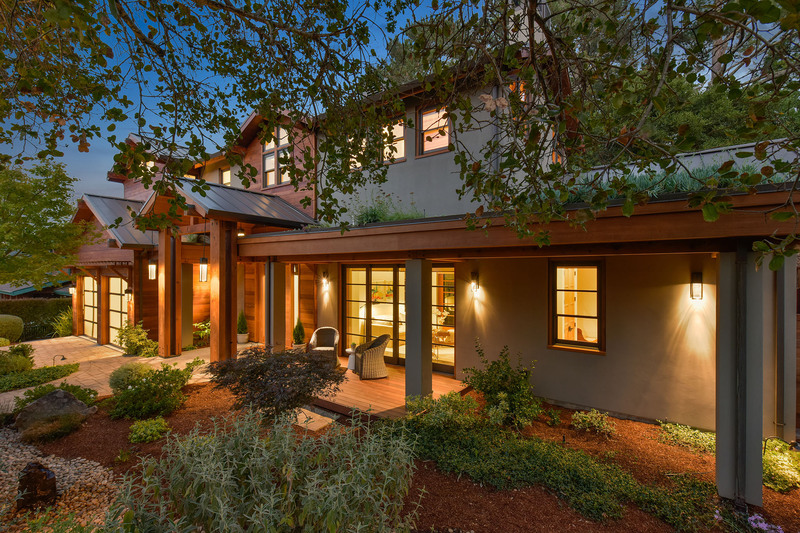 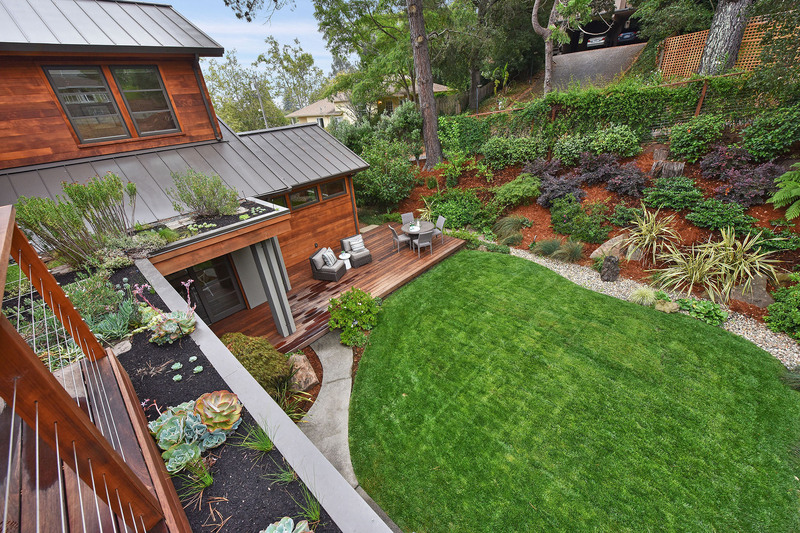 The first Cal Green Tier 1 house built in Larkspur, this 4 bedroom, 3.5 bath home reaches the highest standard of excellent construction and contemporary design. 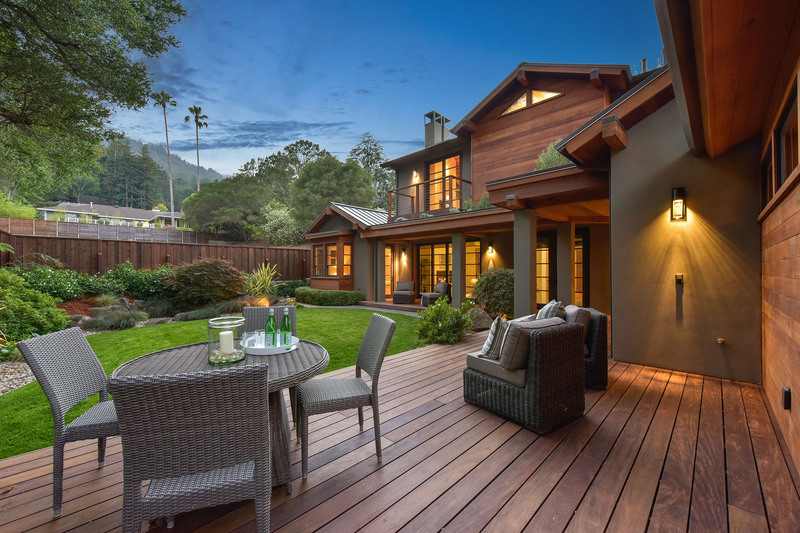 Filled with luxury finishes and thoughtful touches, the open floor plan and easy indoor-outdoor flow captures the essence of Marin living. 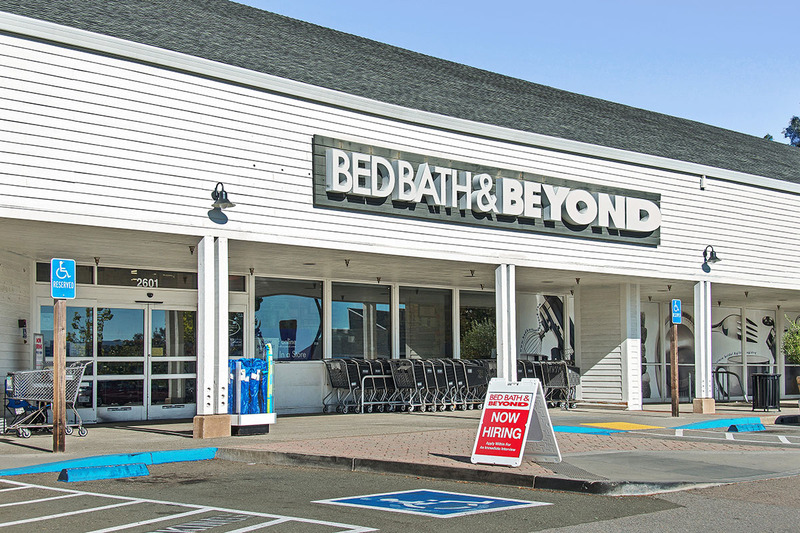 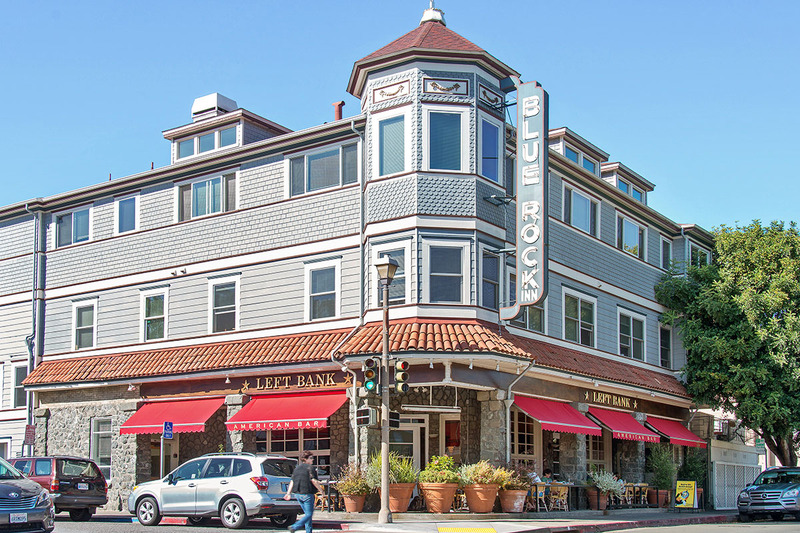 Walking distance to the quaint downtown areas of both Larkspur and Corte Madera. 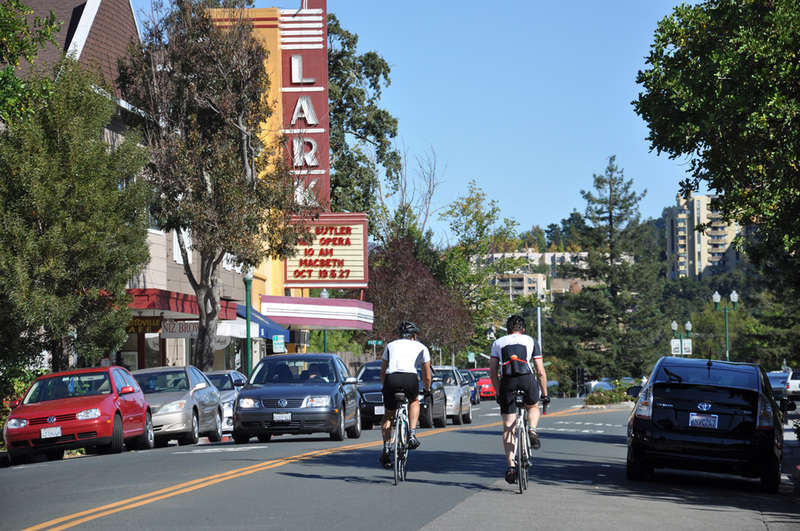 Easy commute to 101. 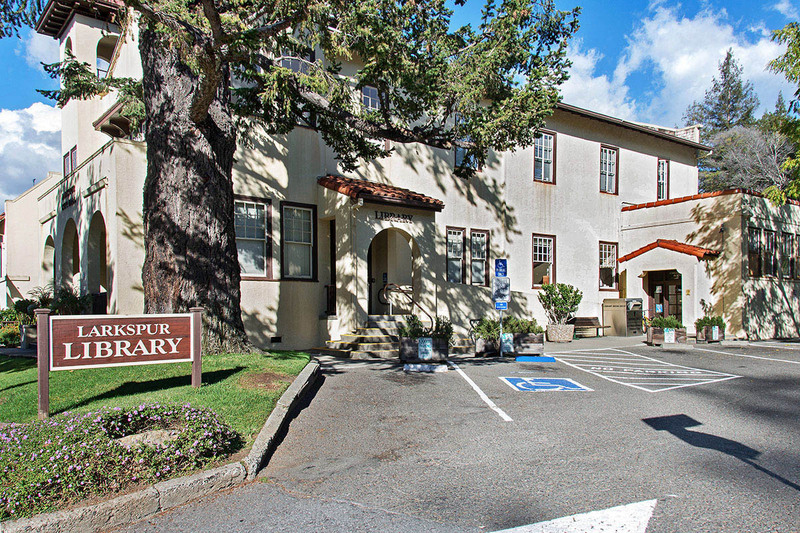 Excellent public schools are a short bike ride away and the desirable Marin Primary and Middle School is right across the street. 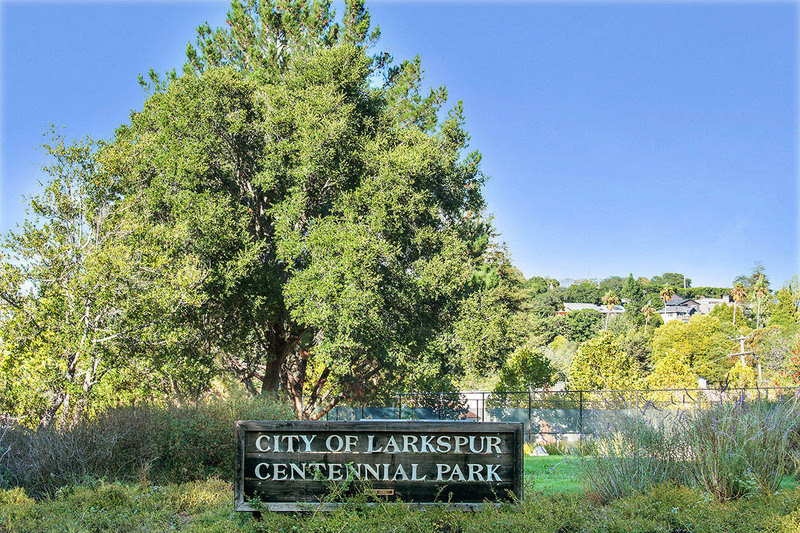 One of Larkspur's most spectacular features is the scenery. 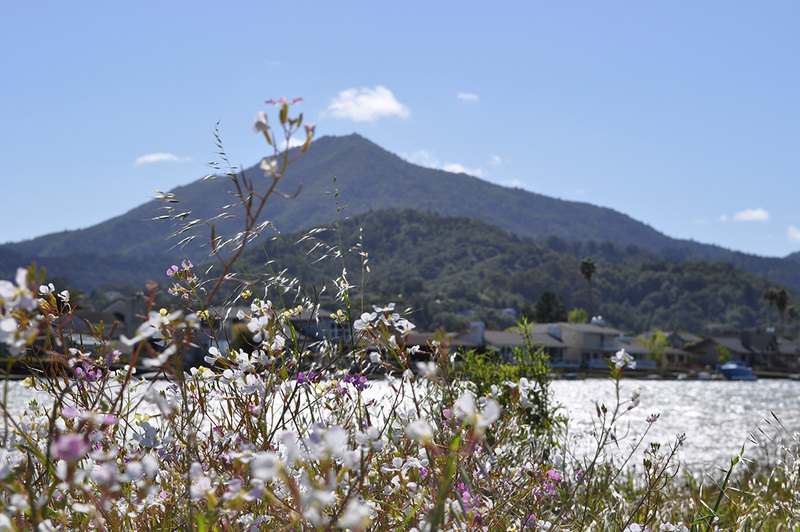 The San Francisco Bay sparkles, redwoods abound and Mt. 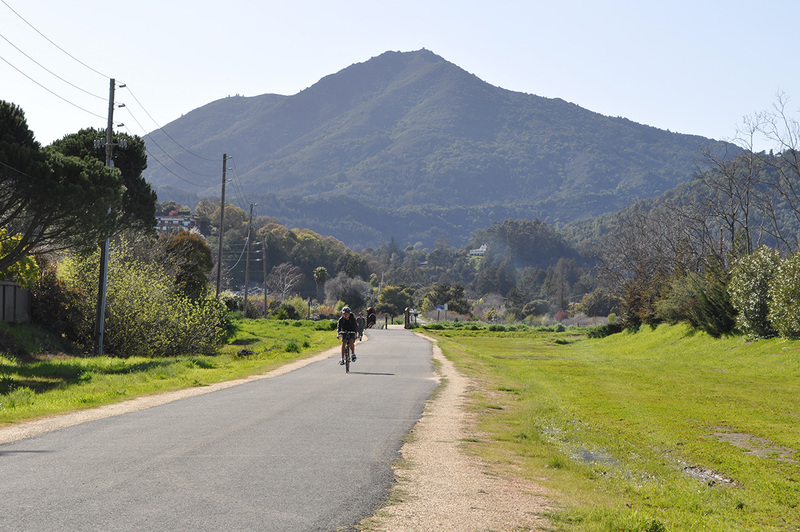 Tamalpais rises directly behind the town. 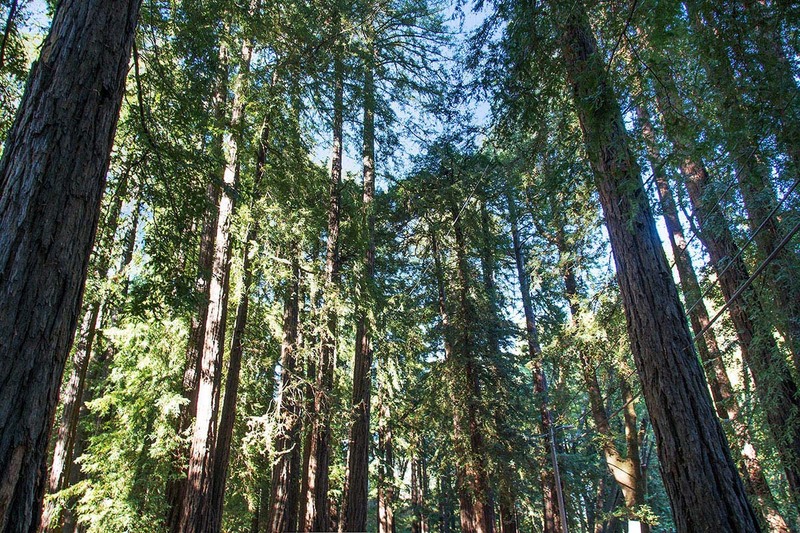 In Baltimore Park and Baltimore Canyon, giant redwoods grow straight out of the road while the streets gently curve their way around these massive trees. 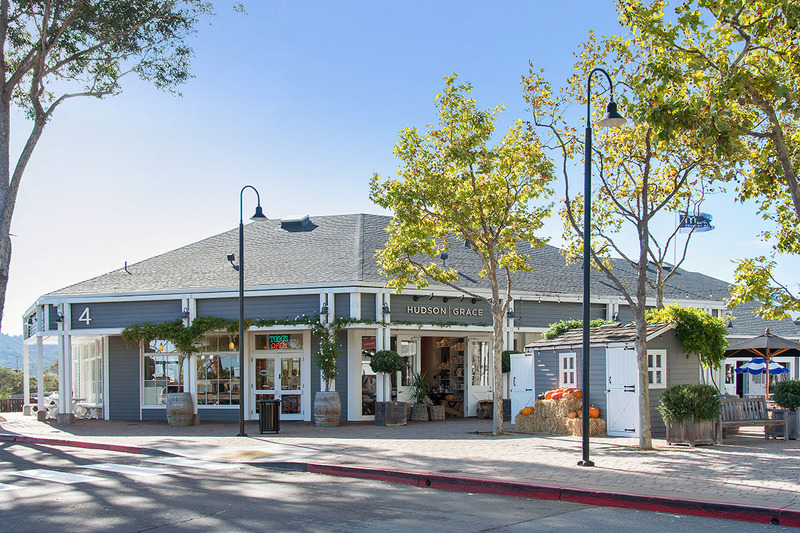 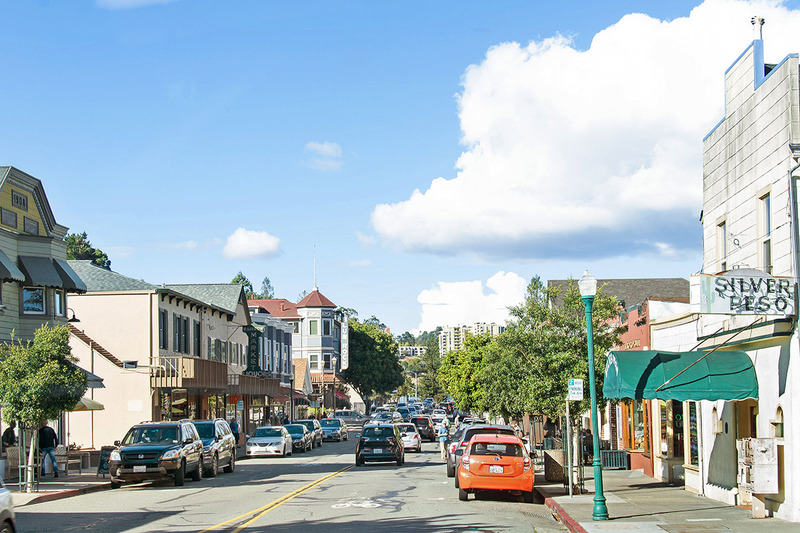 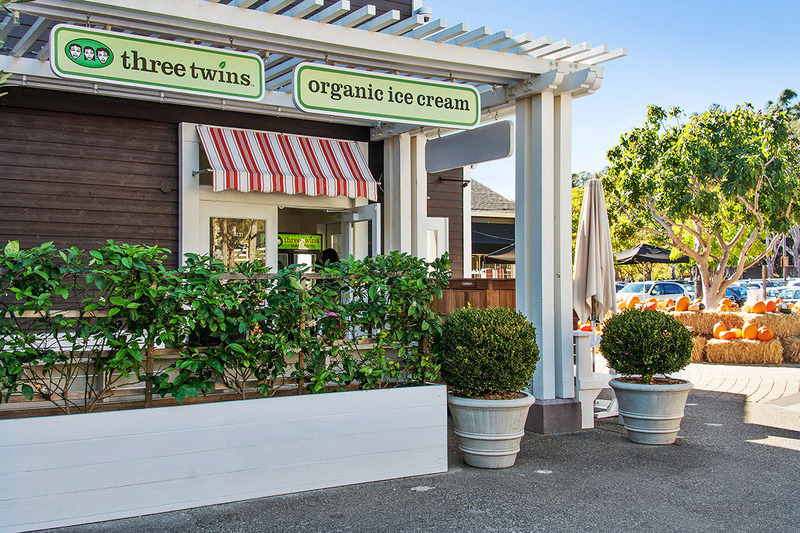 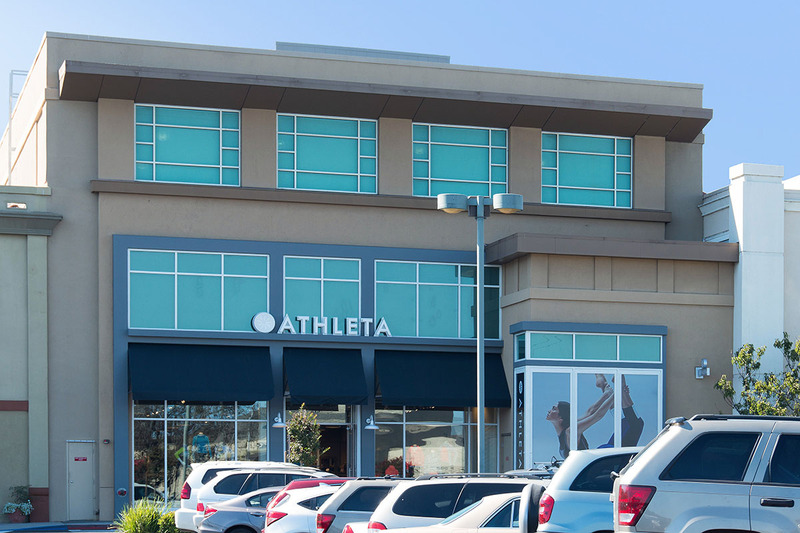 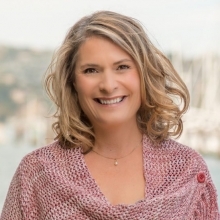 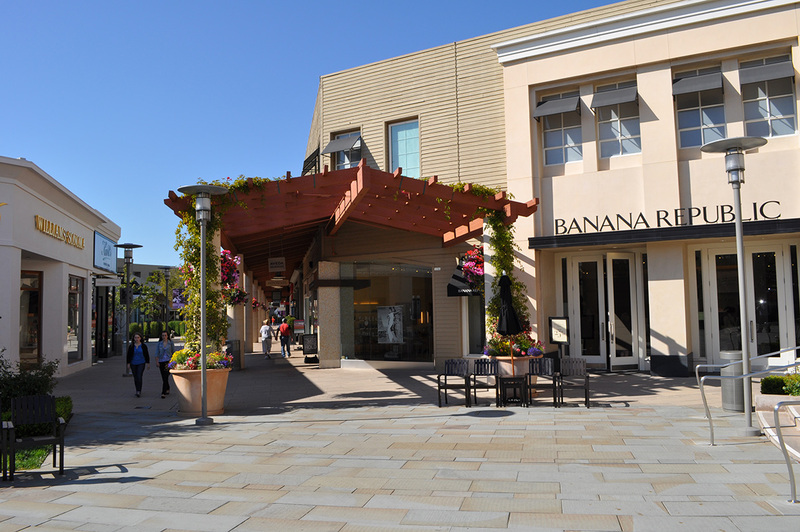 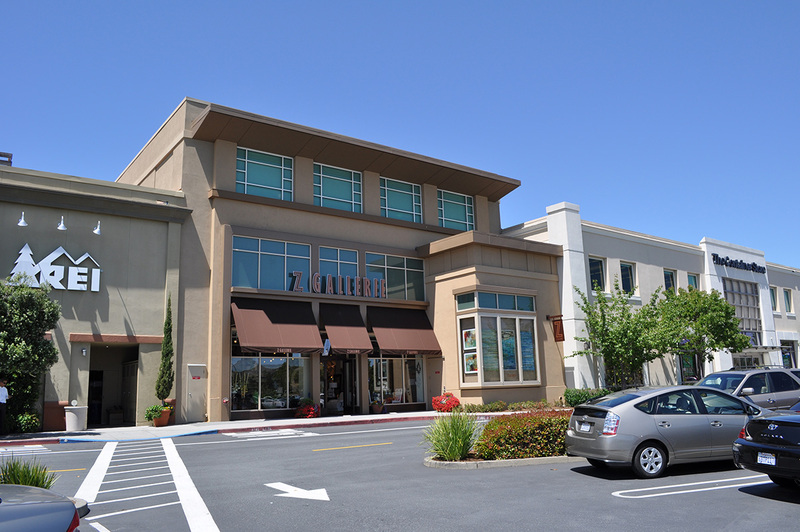 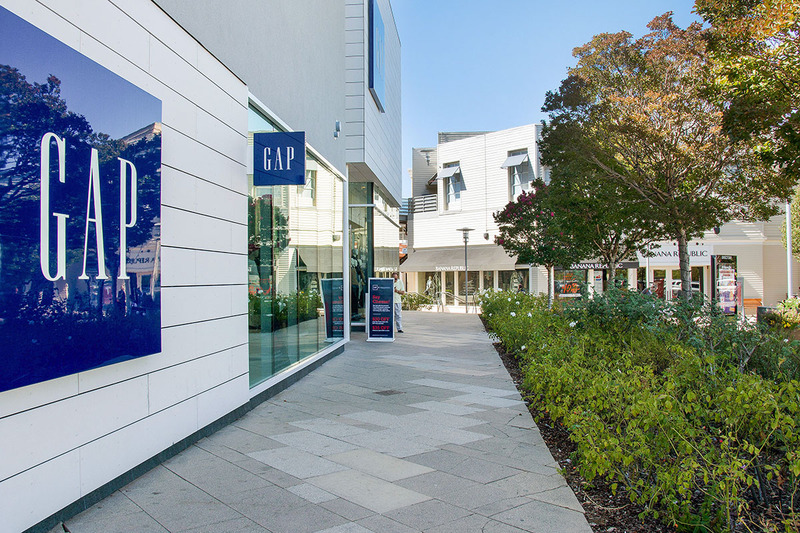 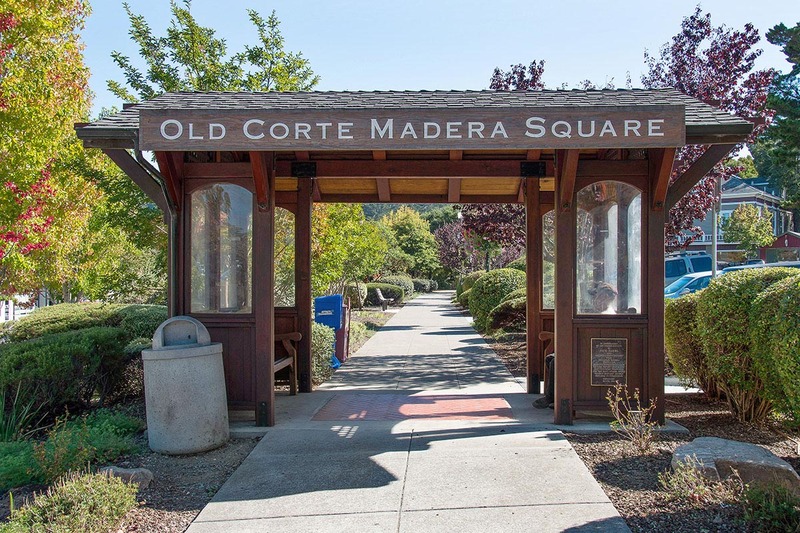 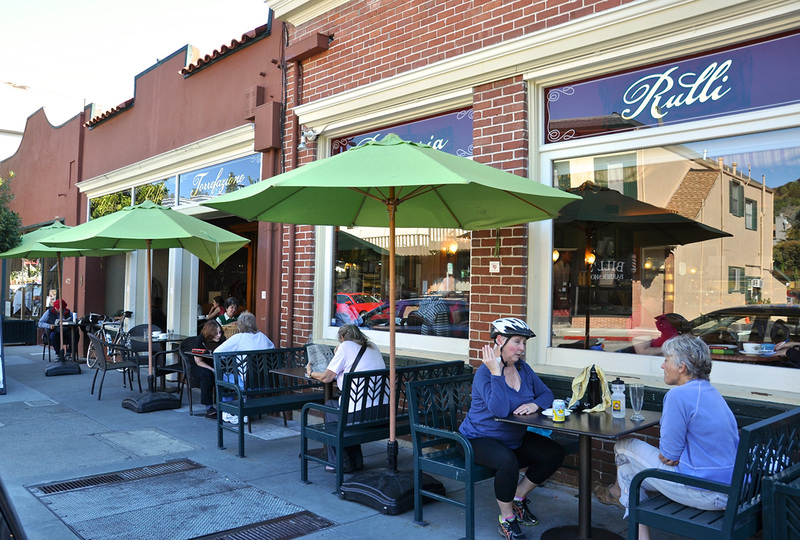 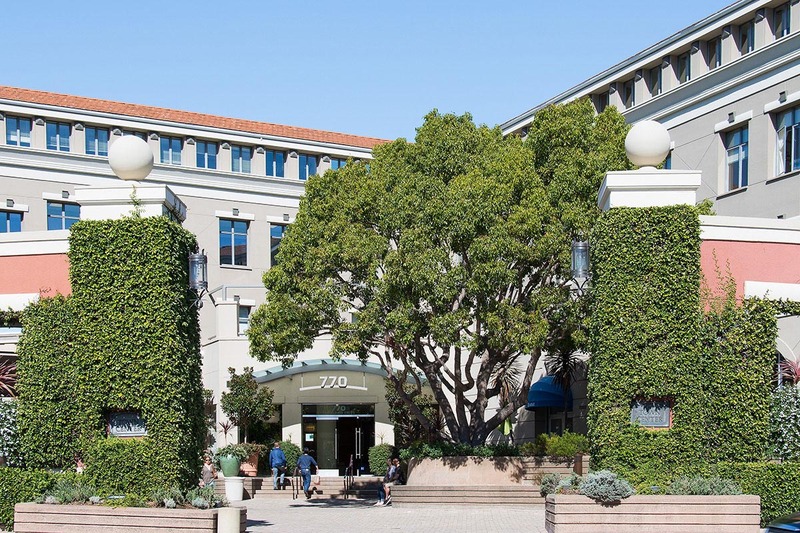 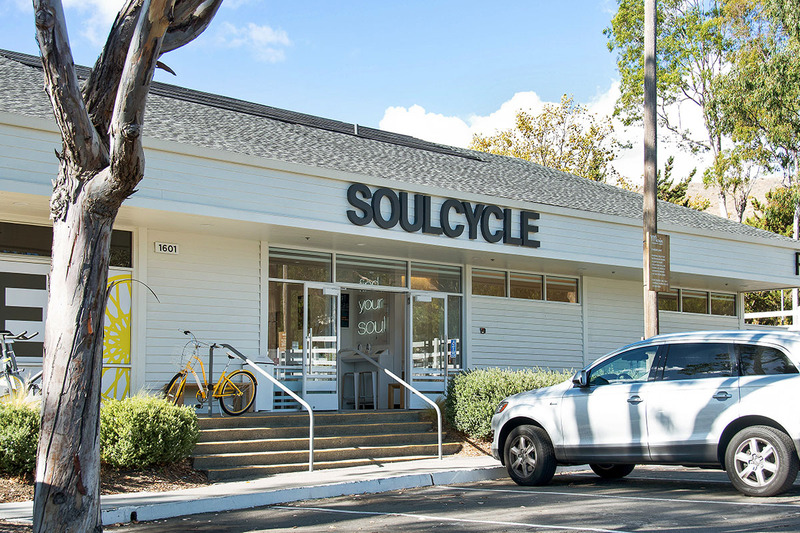 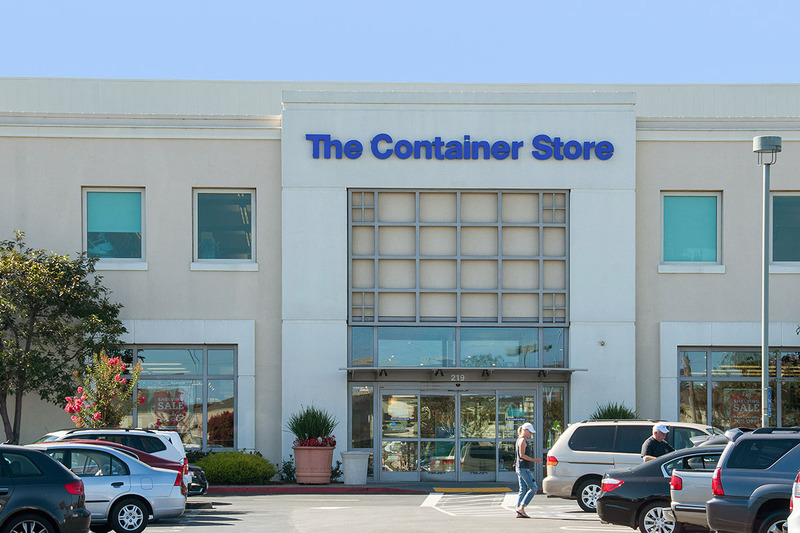 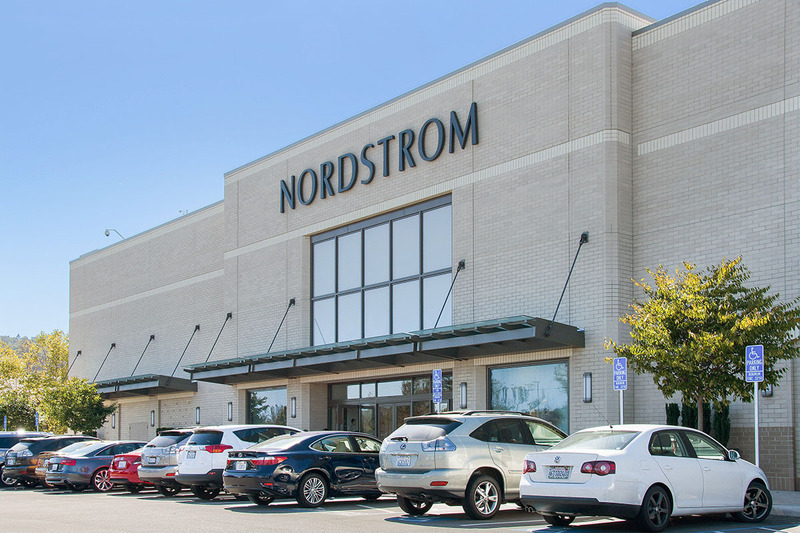 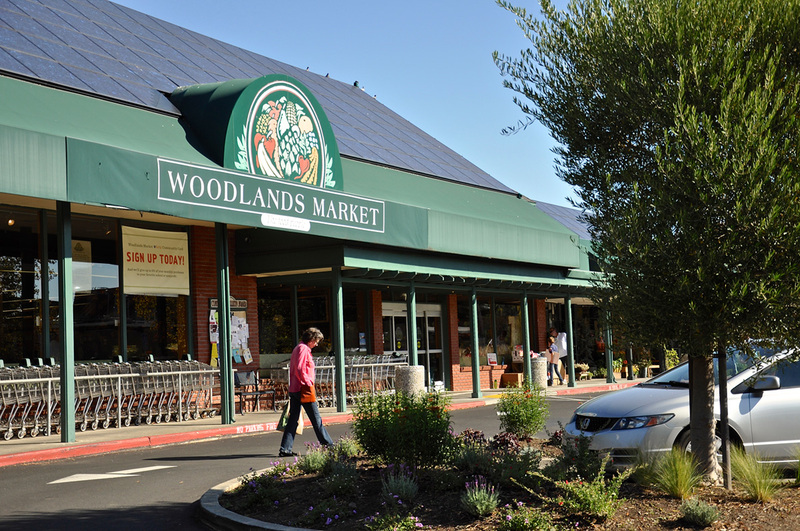 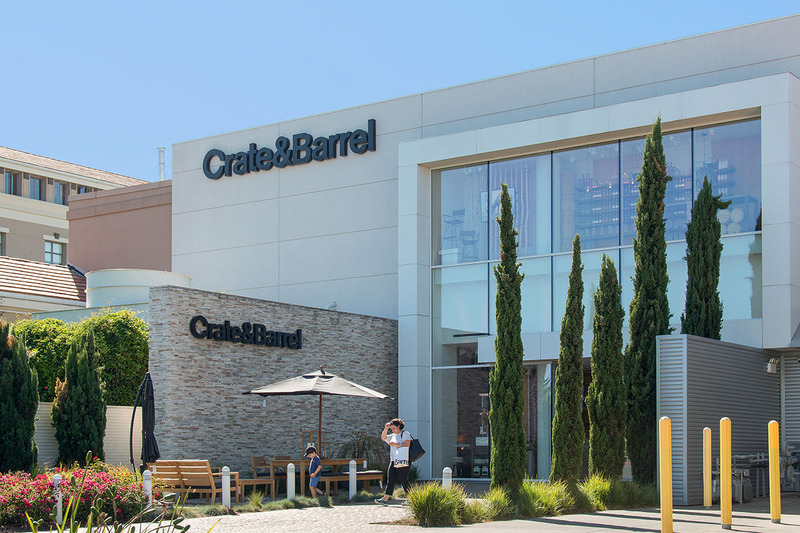 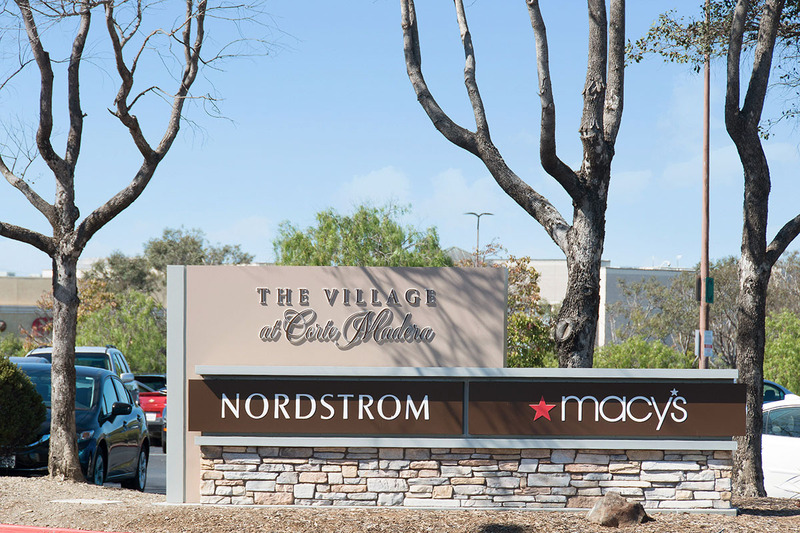 In addition to the picturesque downtown areas of Larkspur and Old Town Corte Madera, the many shops and restaurants at the Corte Madera Town Center and The Village at Corte Madera are just a short drive or bike ride away. 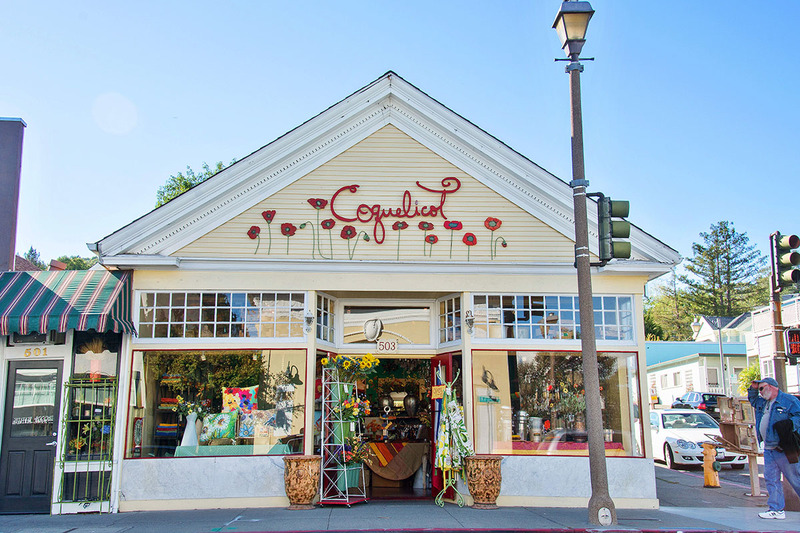 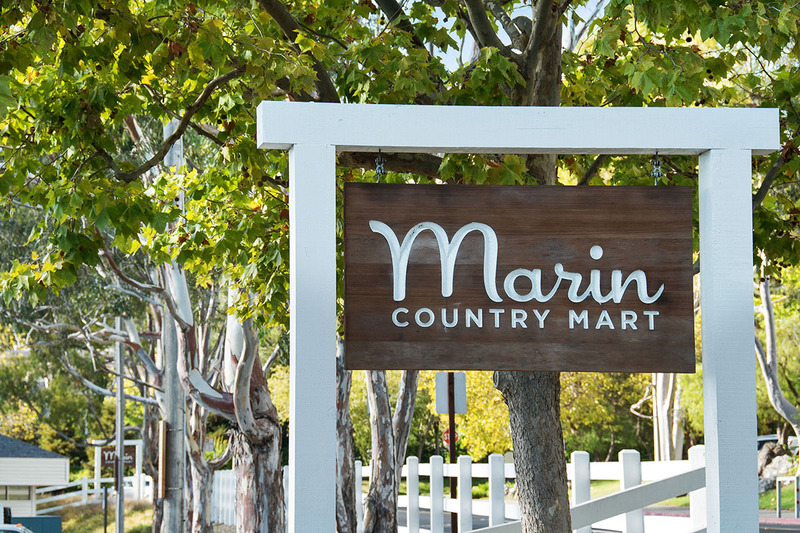 The Marin Country Mart features free live jazz on Friday nights and a Saturday morning farmers market. 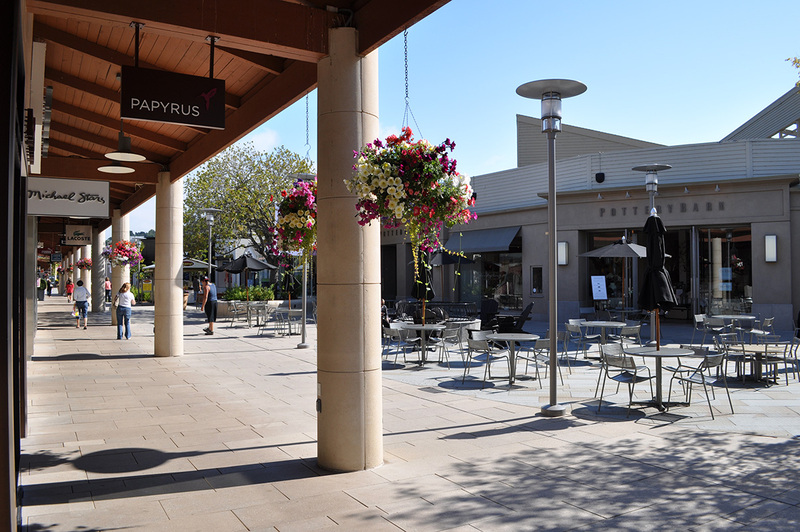 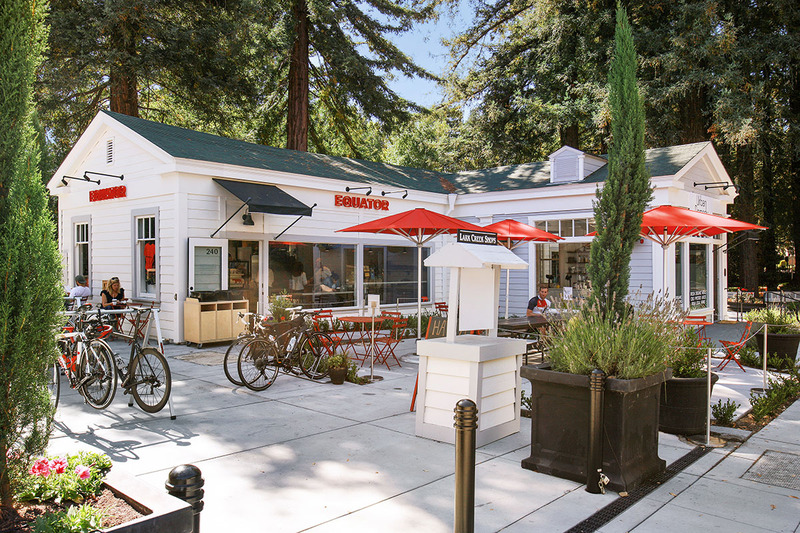 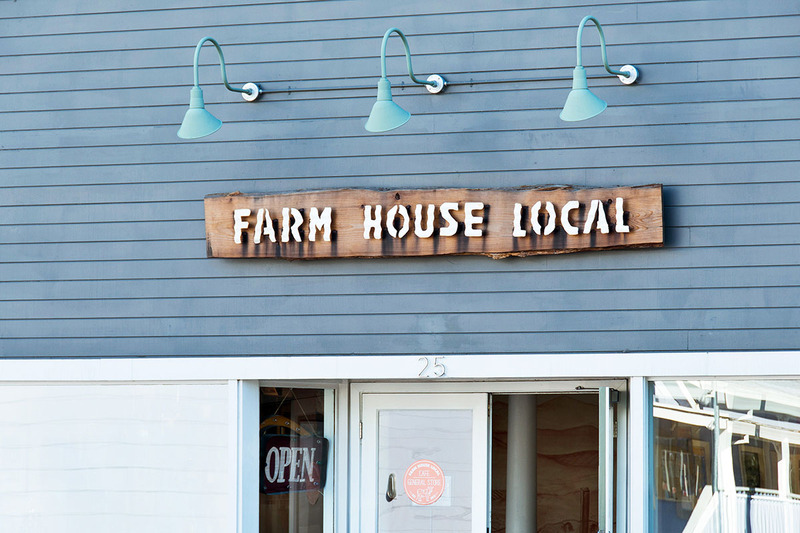 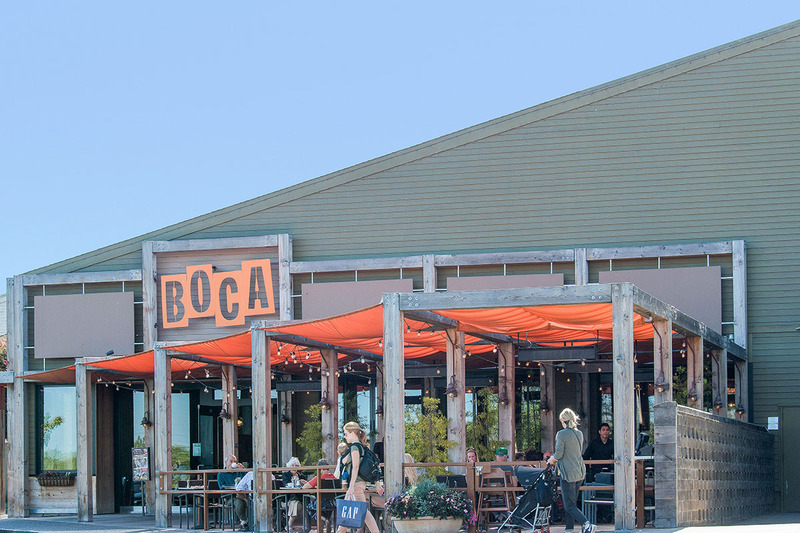 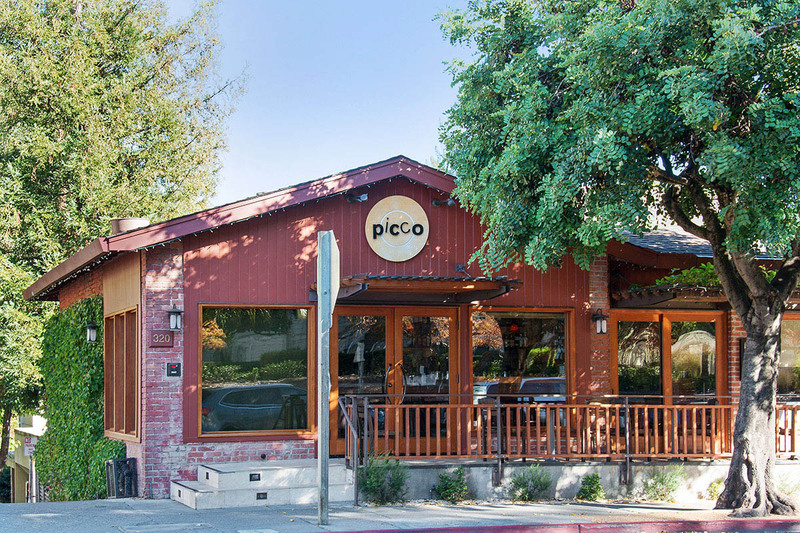 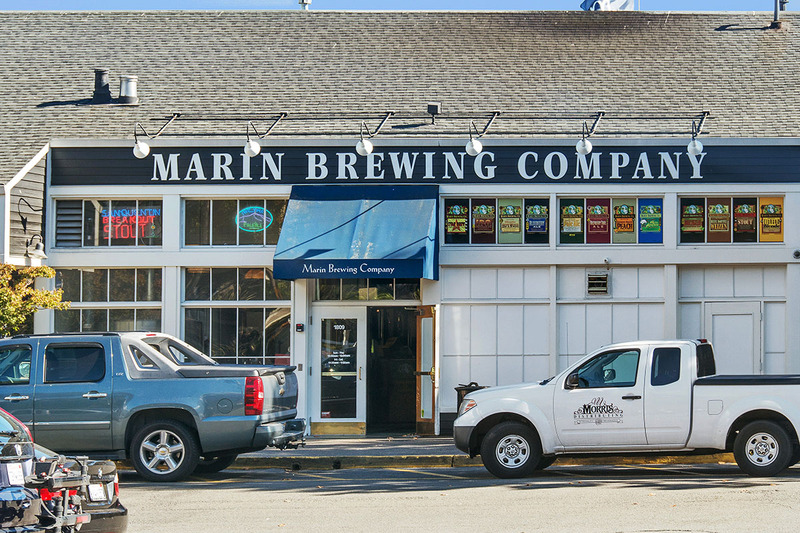 Farmshop, the Marin Brewing Company, Rustic Bakery and Sushi Co are just some of the popular restaurants here. 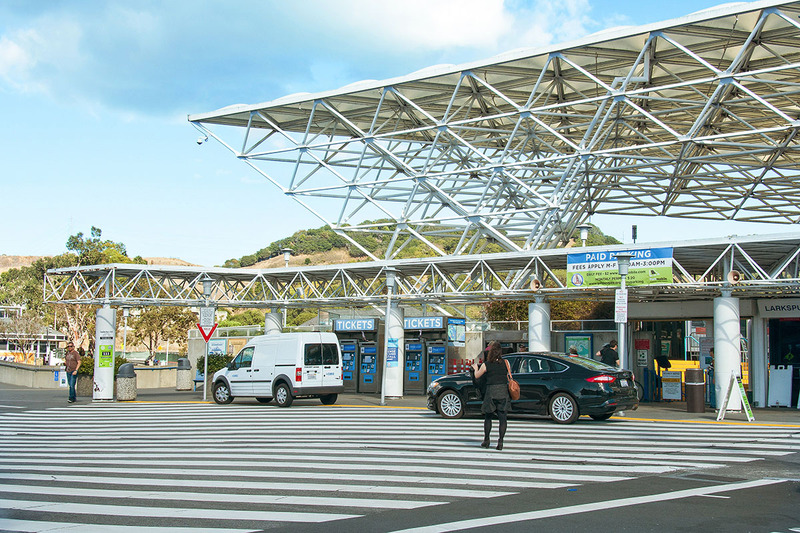 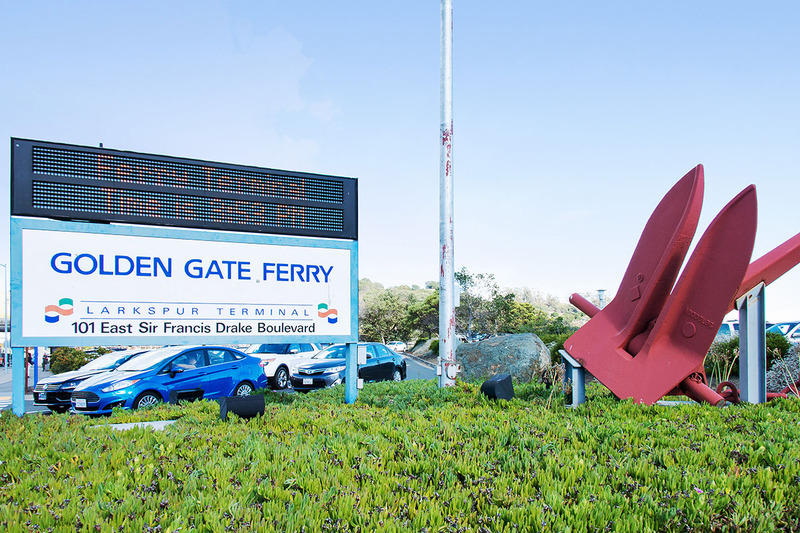 While the 101 freeway is easily accessible for commuting to San Francisco or the East Bay, the Golden Gate Ferry is a popular option with a large, low cost parking lot and ferry terminal located right at Larkspur Landing. 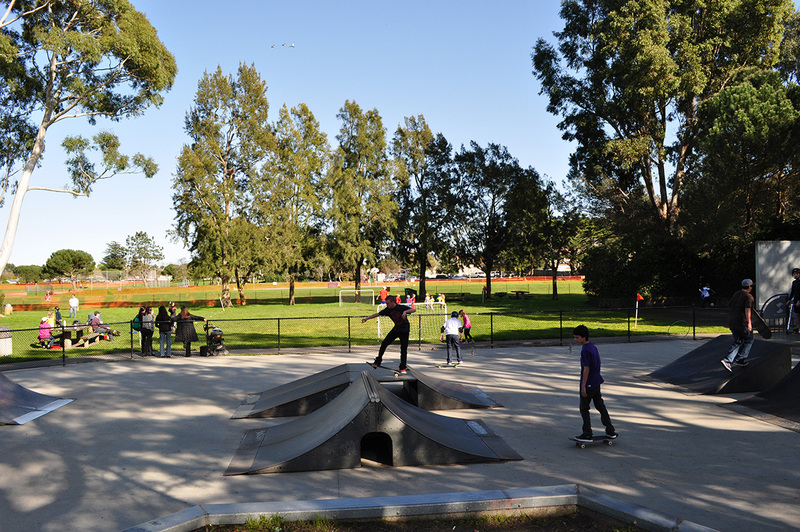 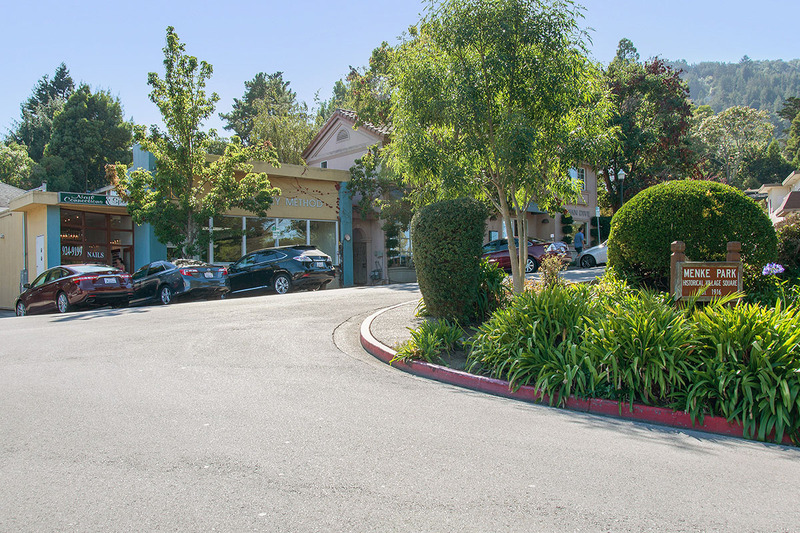 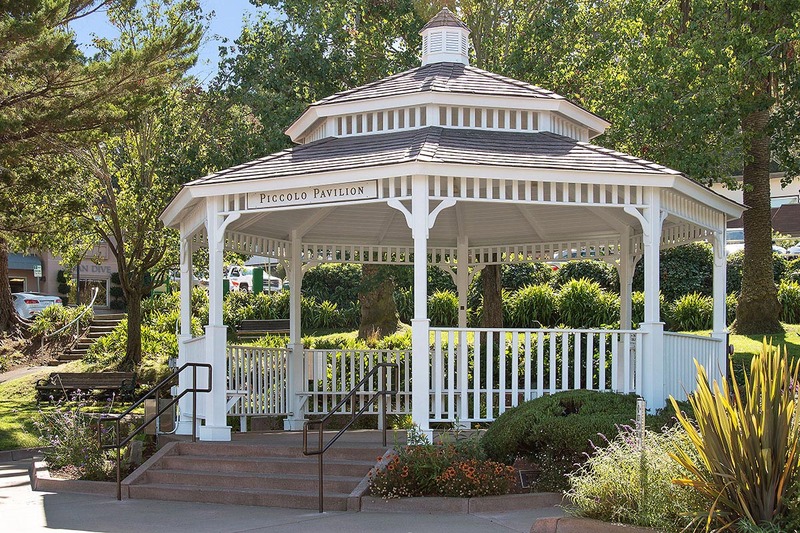 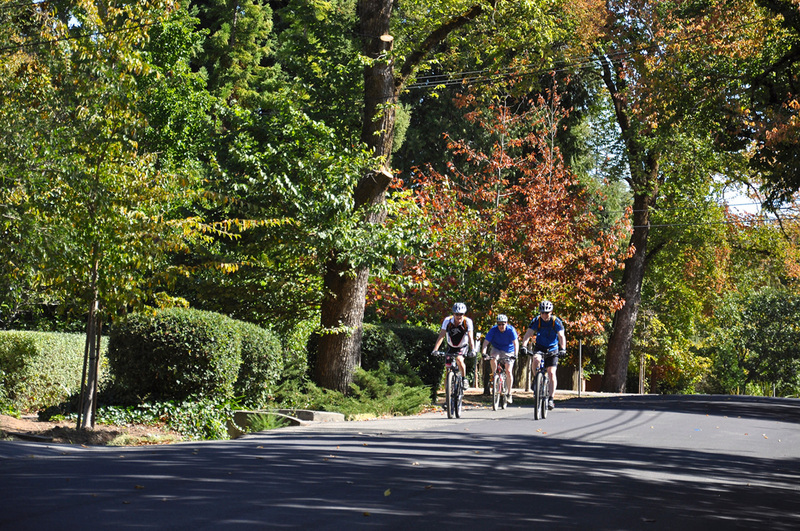 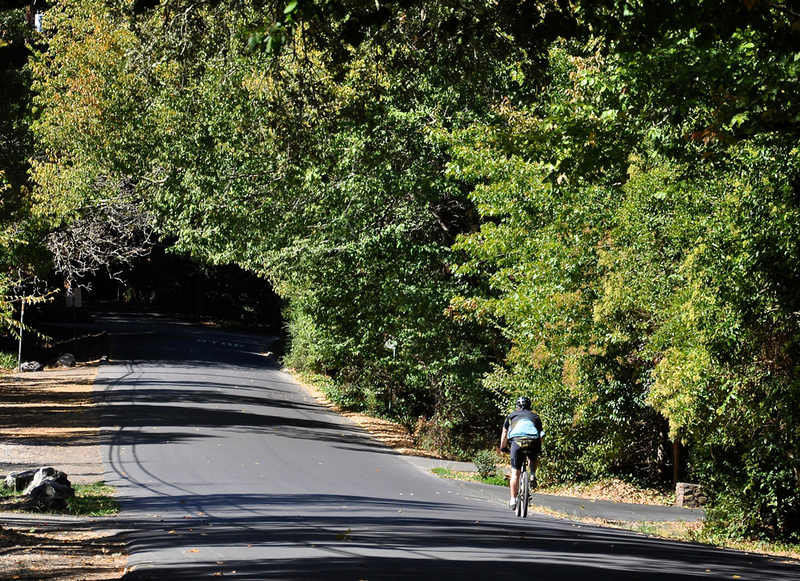 Home to Marin General Hospital and numerous medical facilities, large parks, a great public library, excellent public and private schools and community events throughout the year make Larkspur an great place to call home. 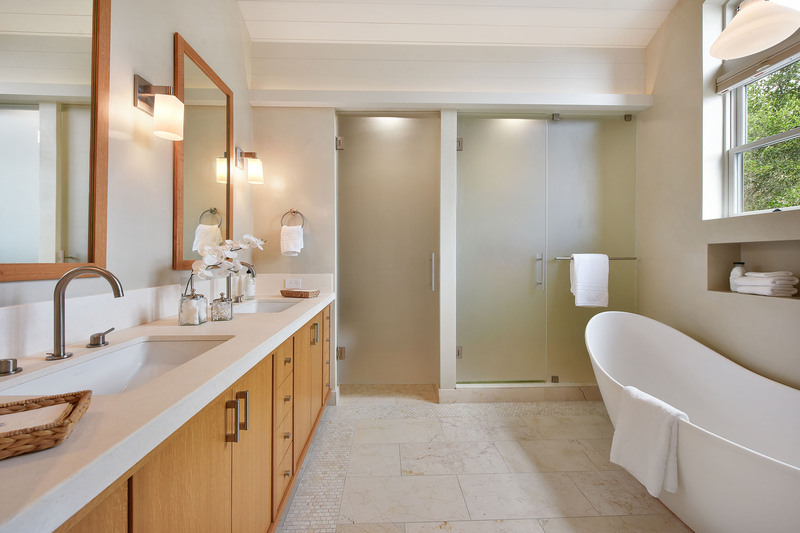 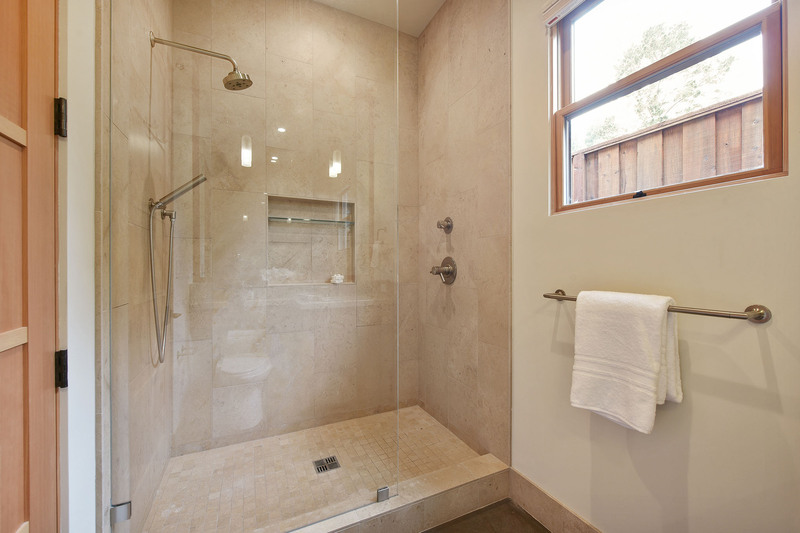 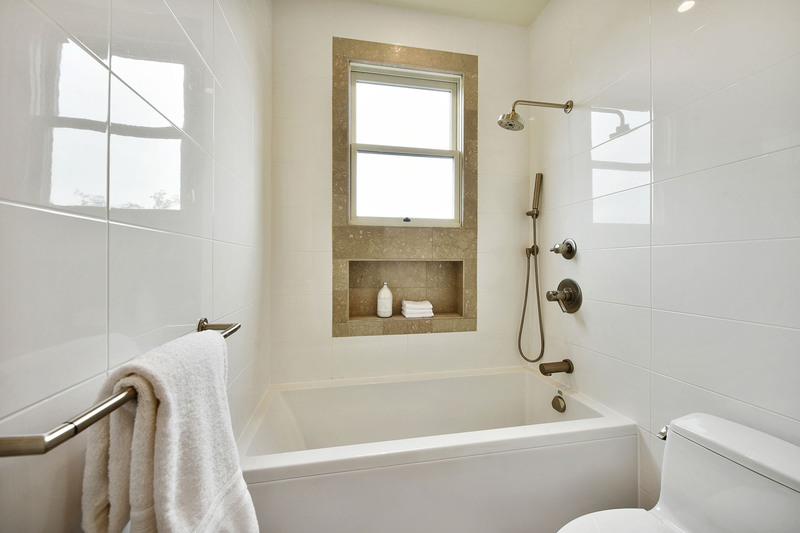 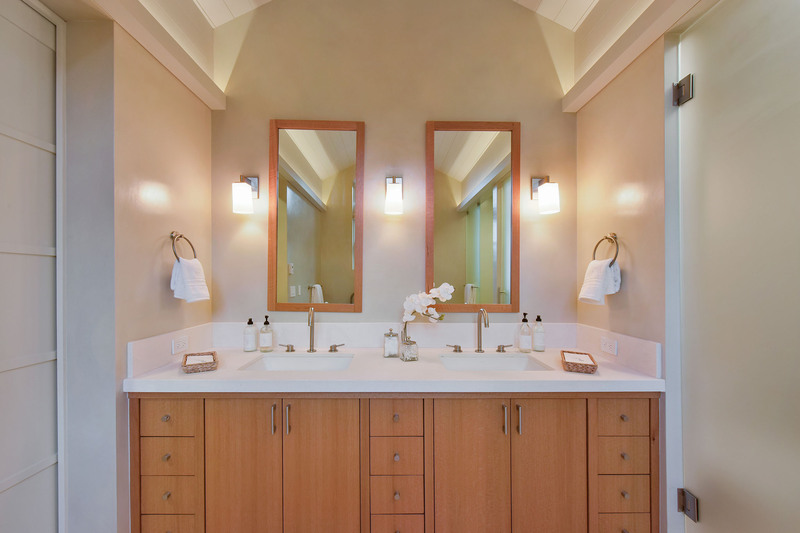 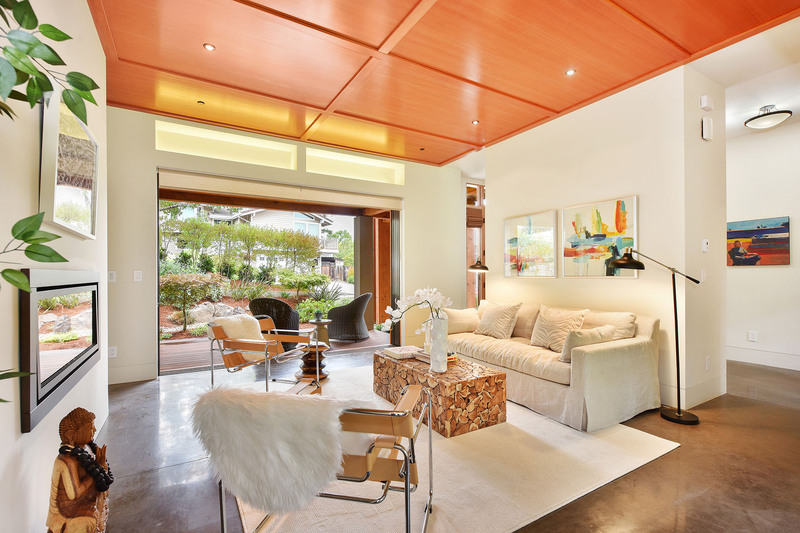 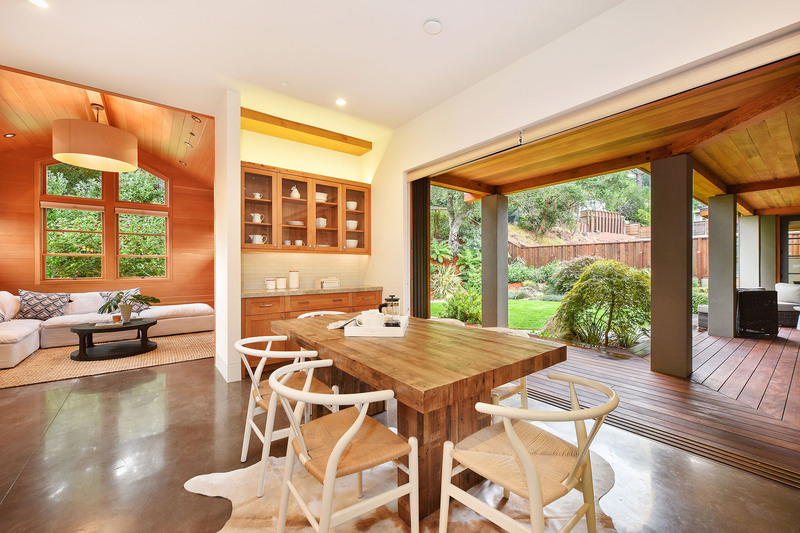 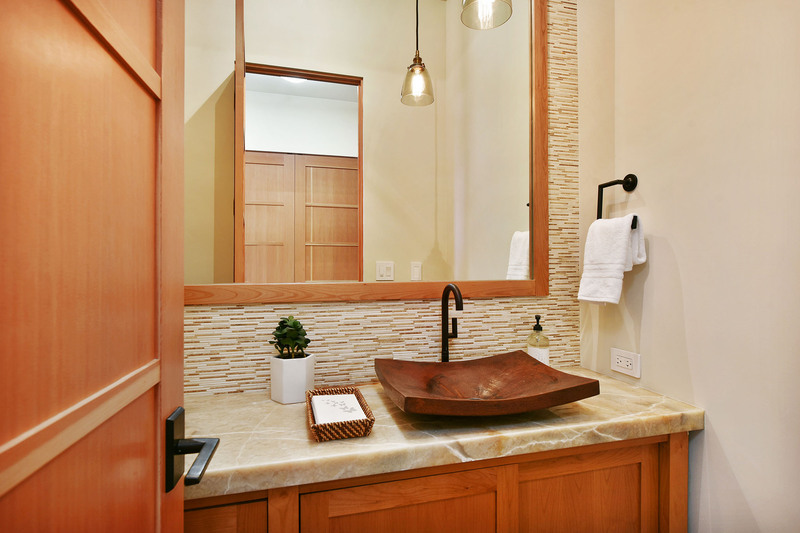 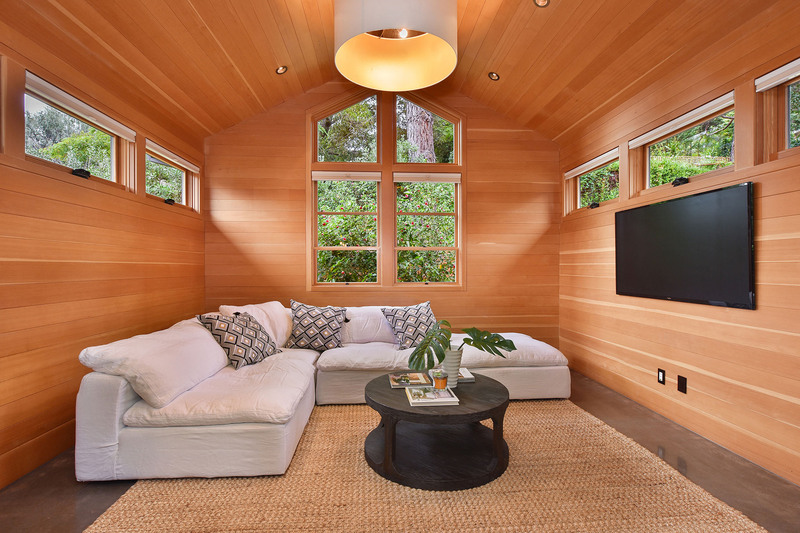 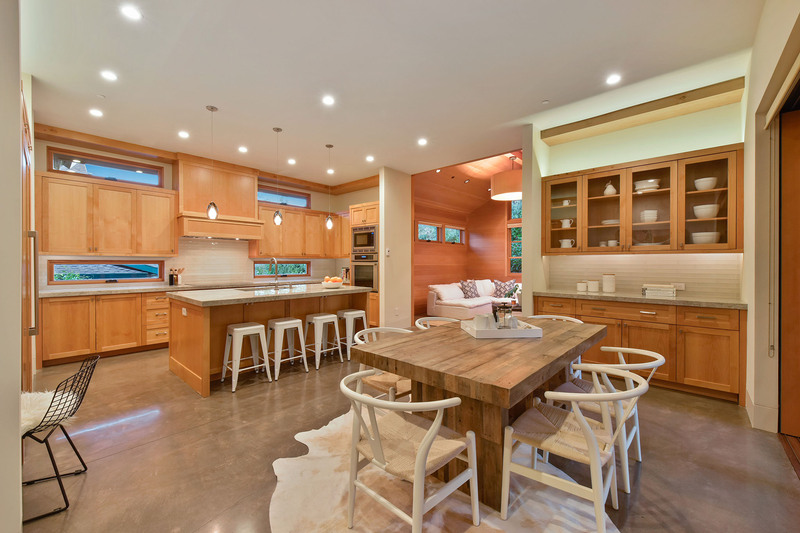 Thoughtful design creates large, public gathering spaces and private, intimate areas to relax. 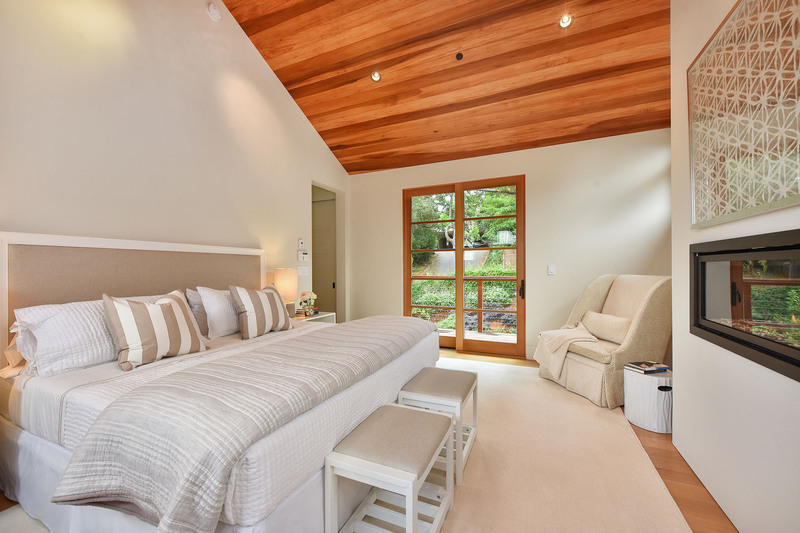 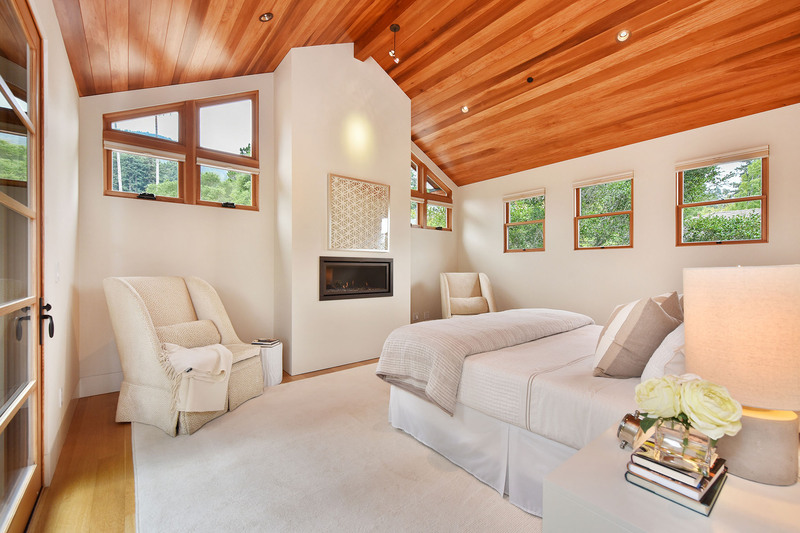 Two master suites, one conveniently located on the main level and one as an upper level retreat, allow for flexibility and lifelong use. 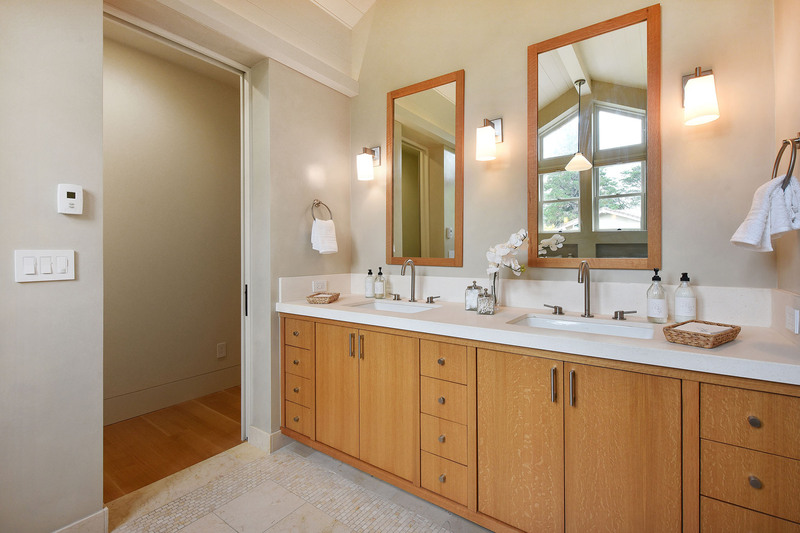 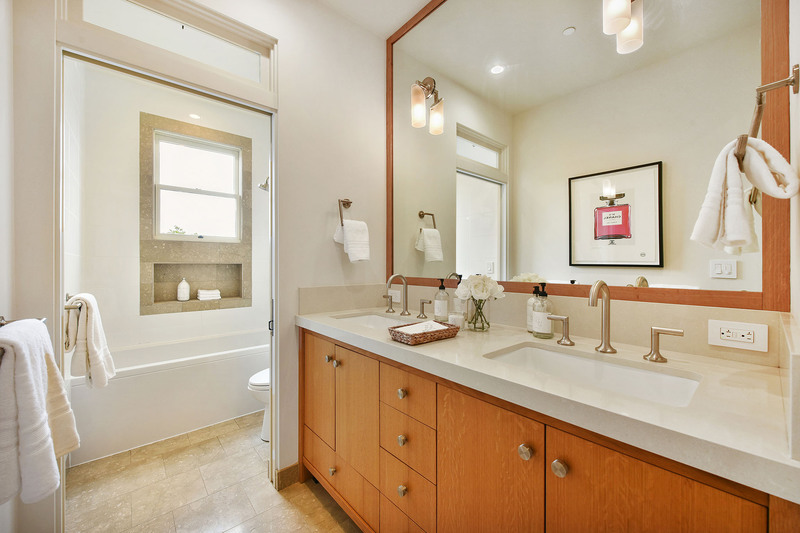 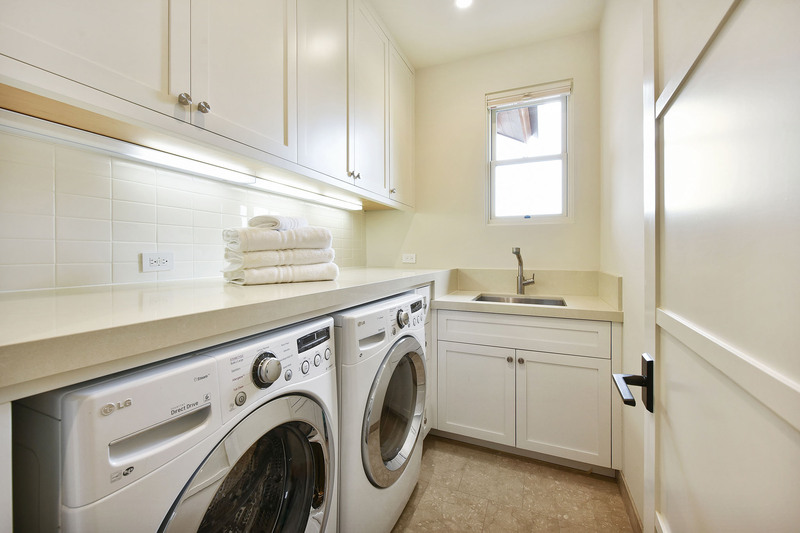 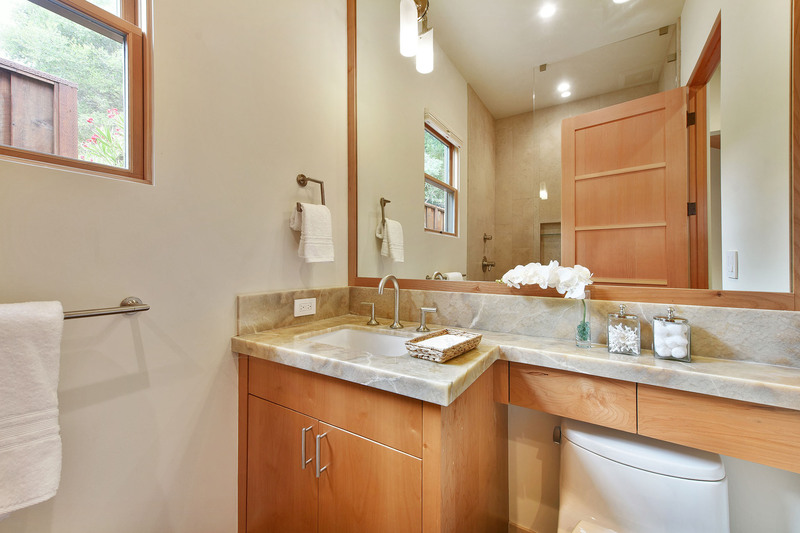 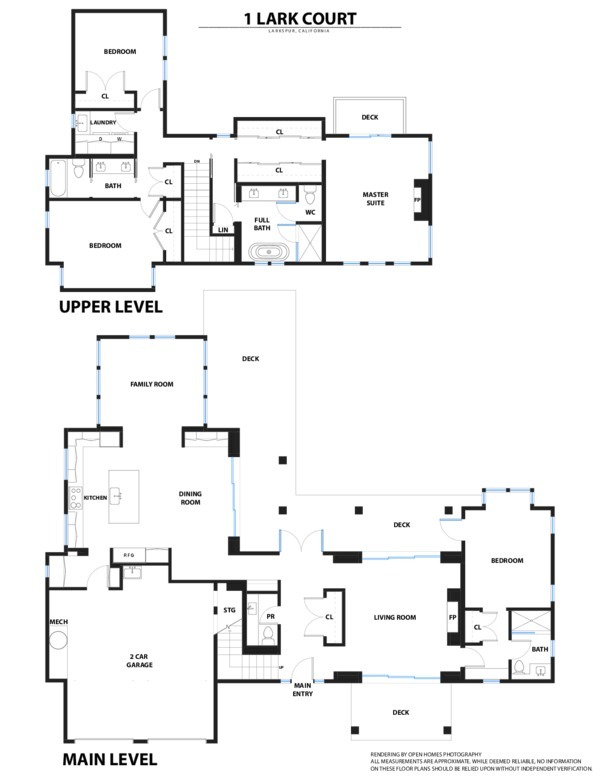 Two large additional bathrooms, a large laundry room and additional bathroom with dual sinks and pocket door between the bath and vanity areas are both beautiful and practical for living. 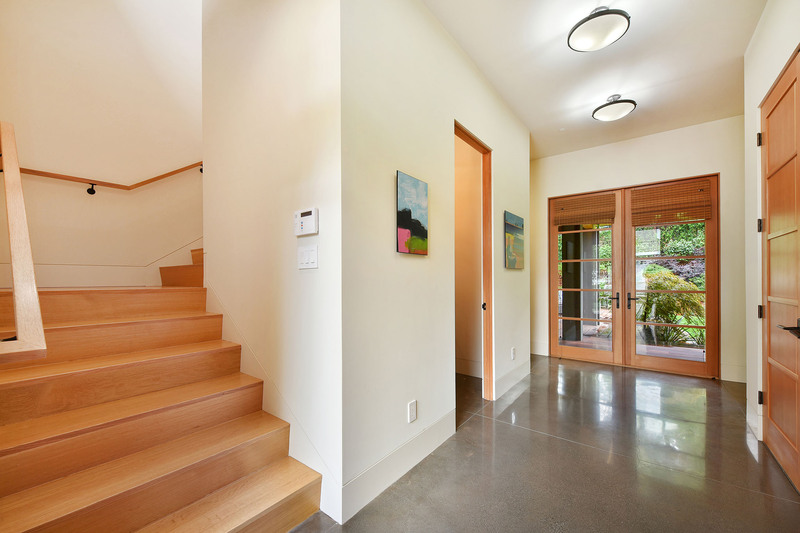 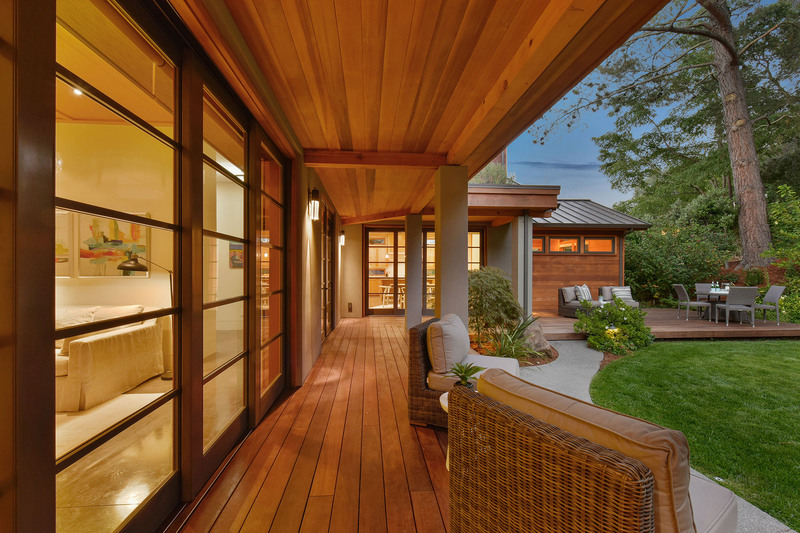 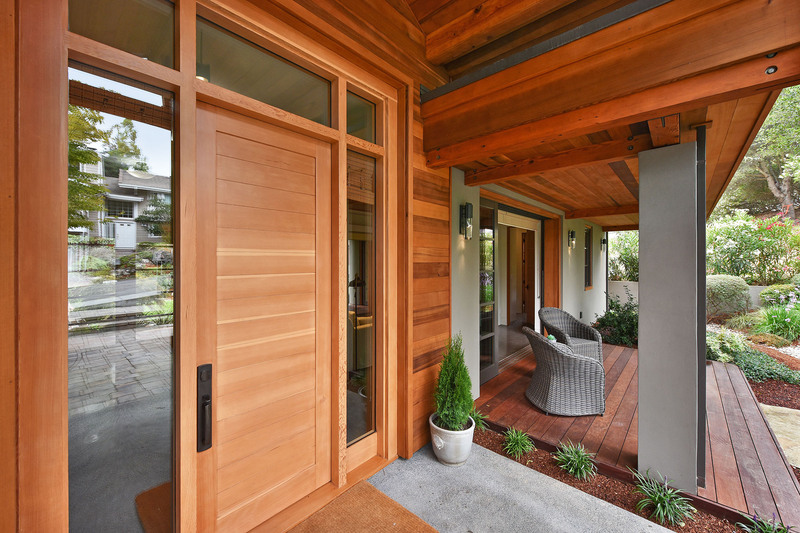 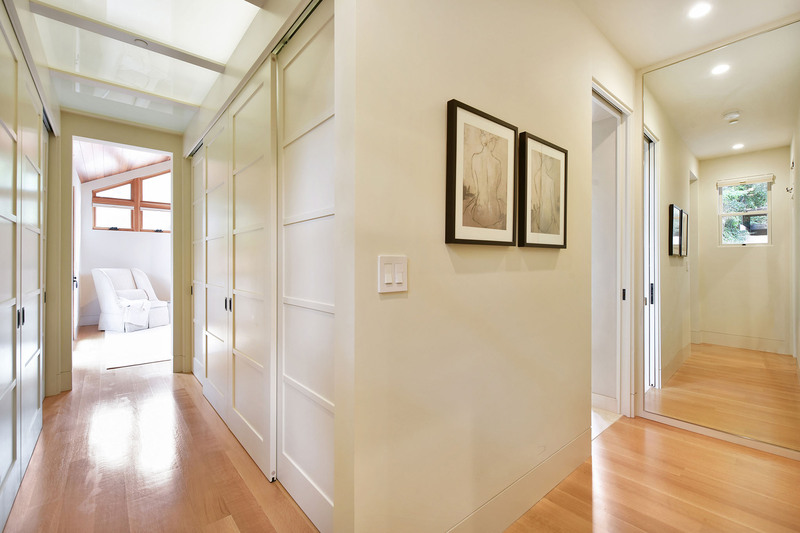 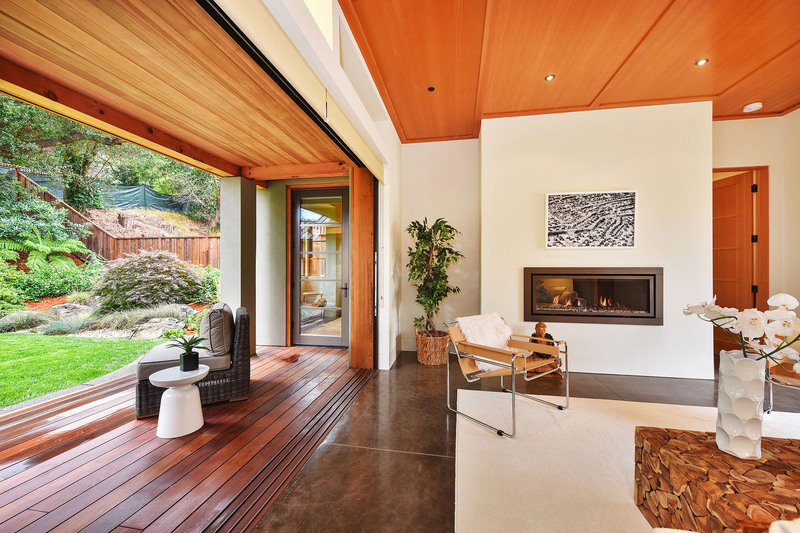 The indoor/outdoor flow created by disappearing walls and level, walk-out decks makes for seamless transitions.